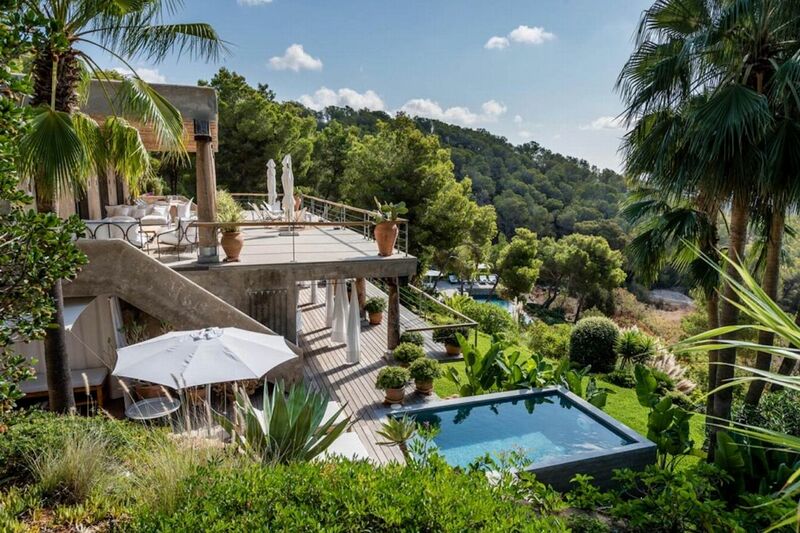 Uniquely designed property set amongst the forest with breathtaking sea views. 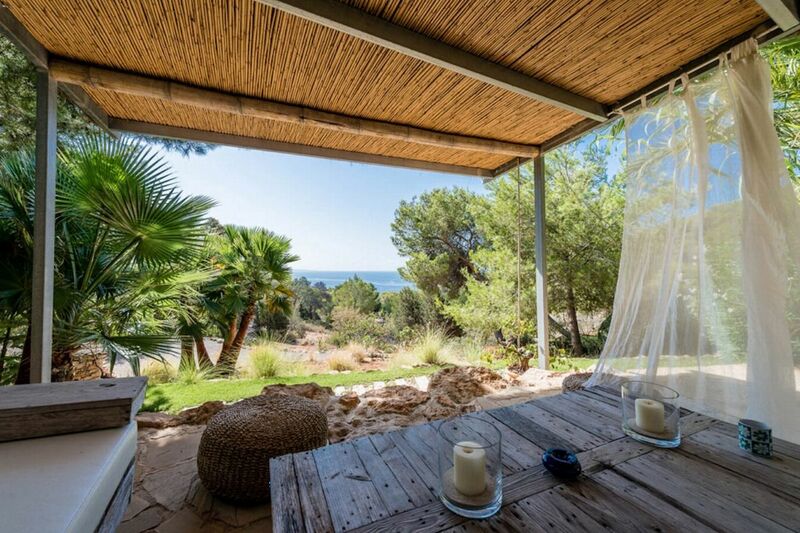 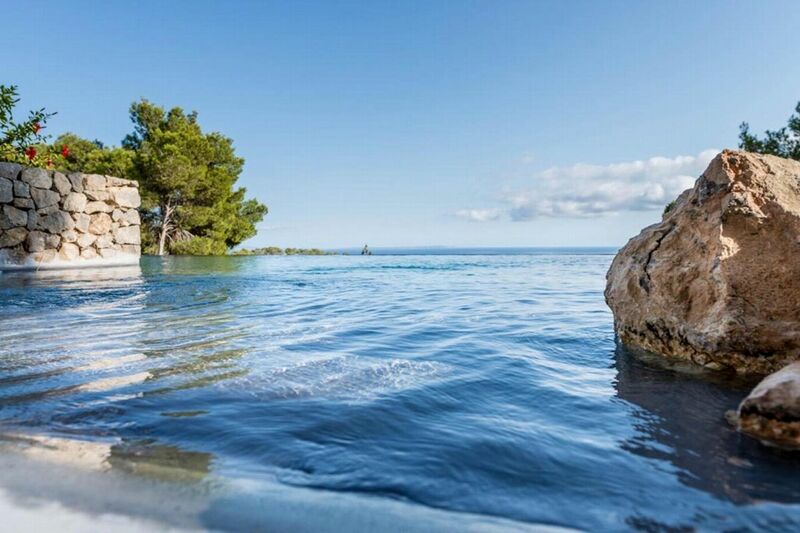 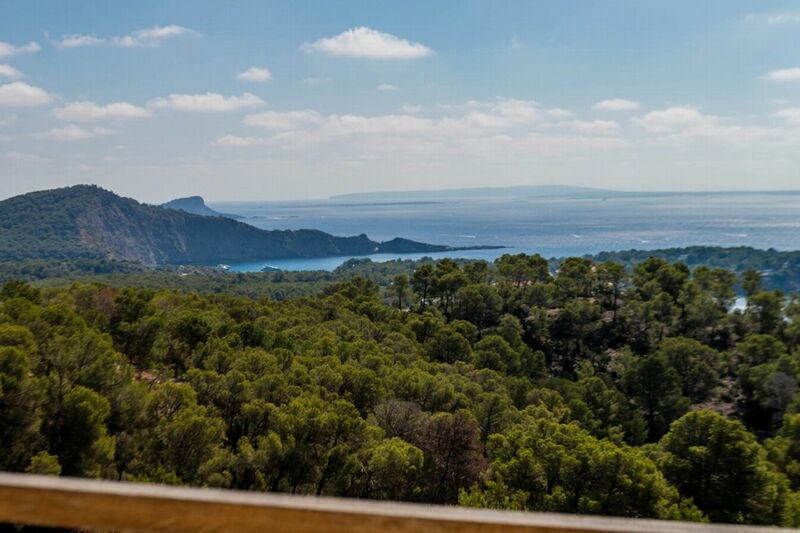 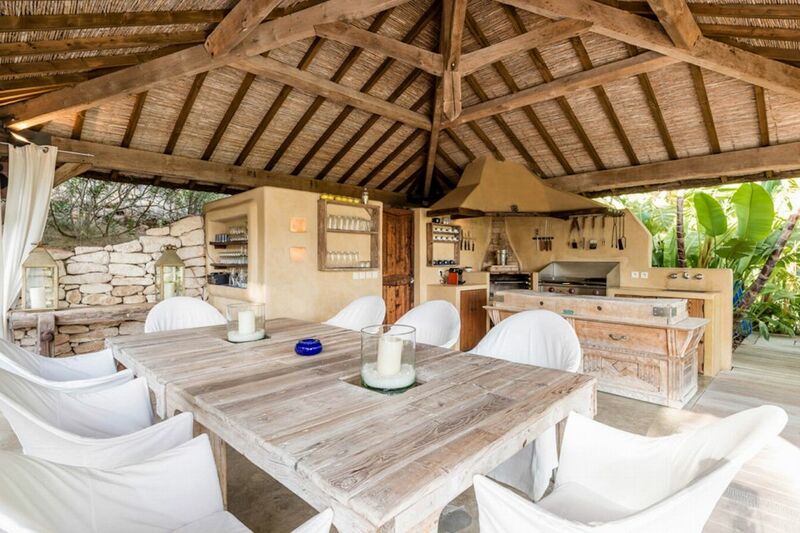 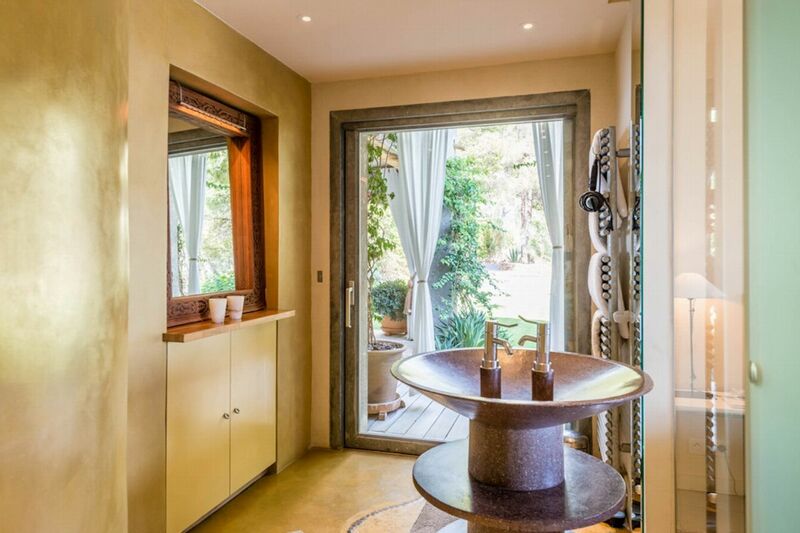 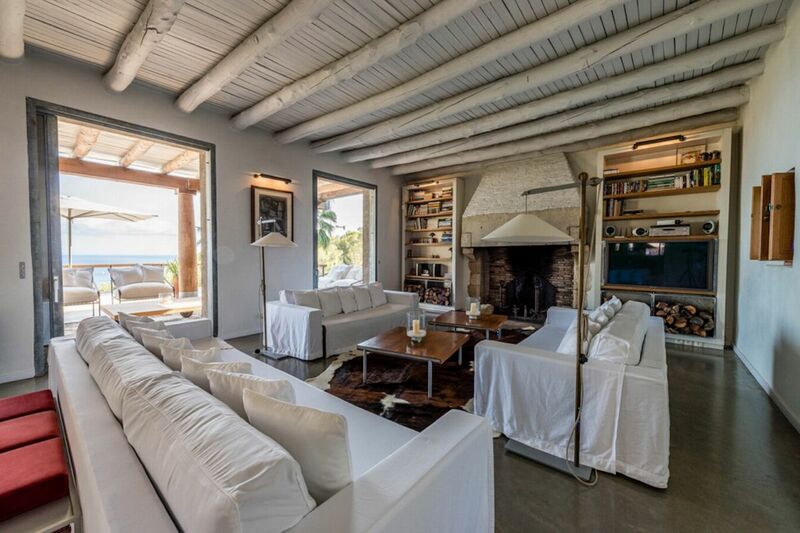 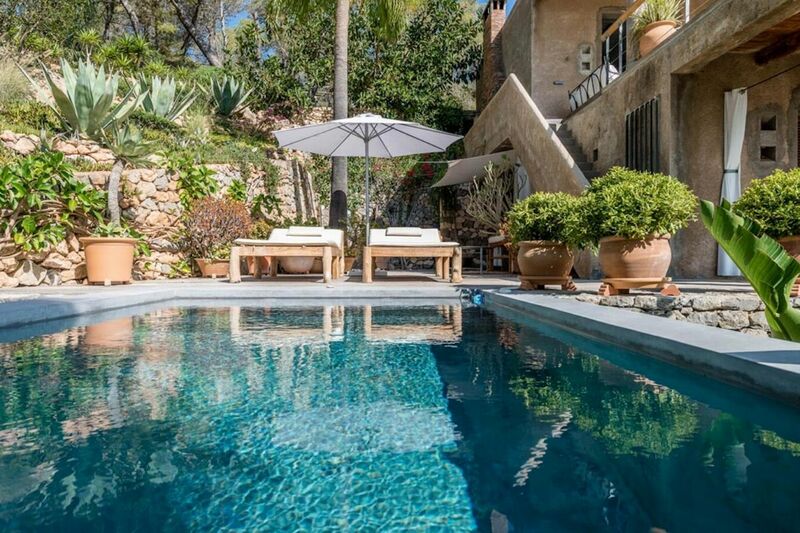 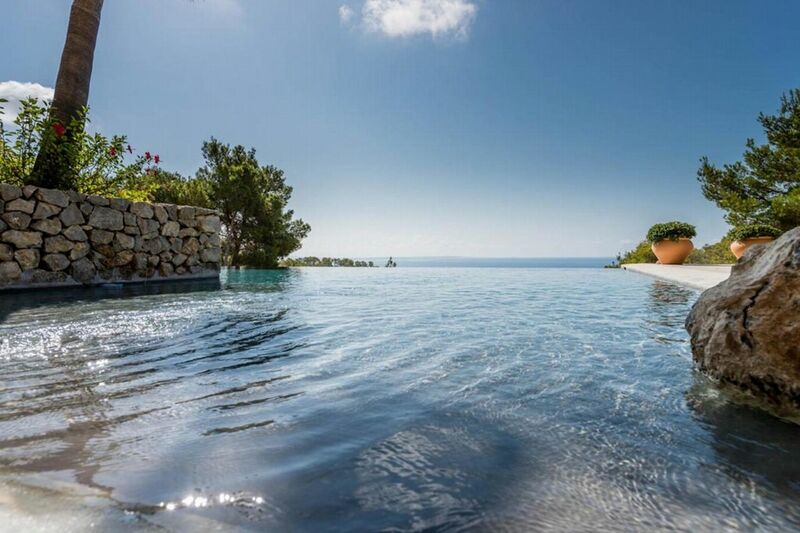 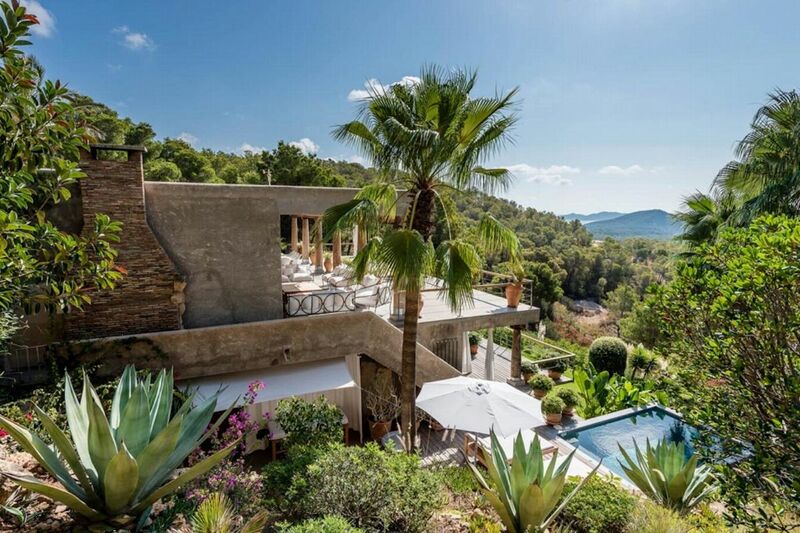 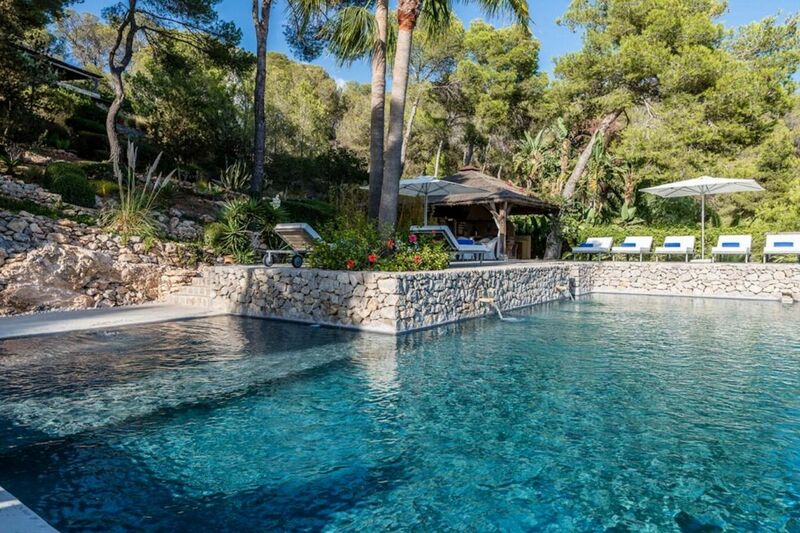 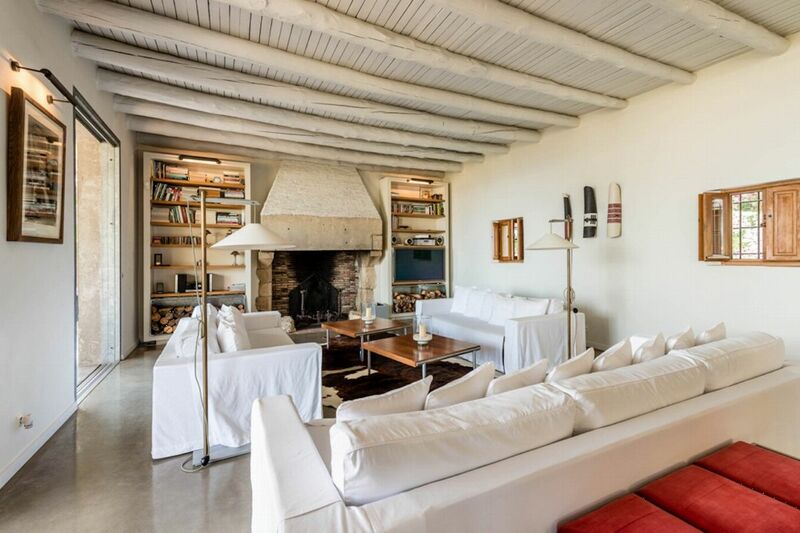 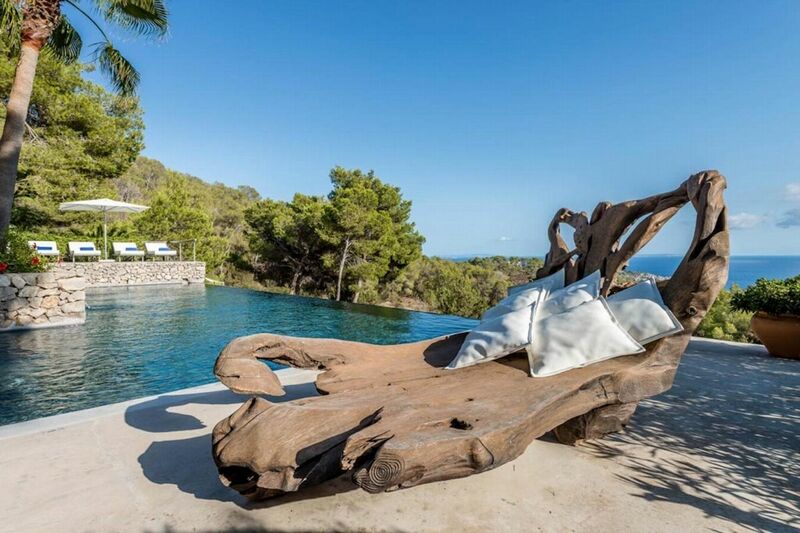 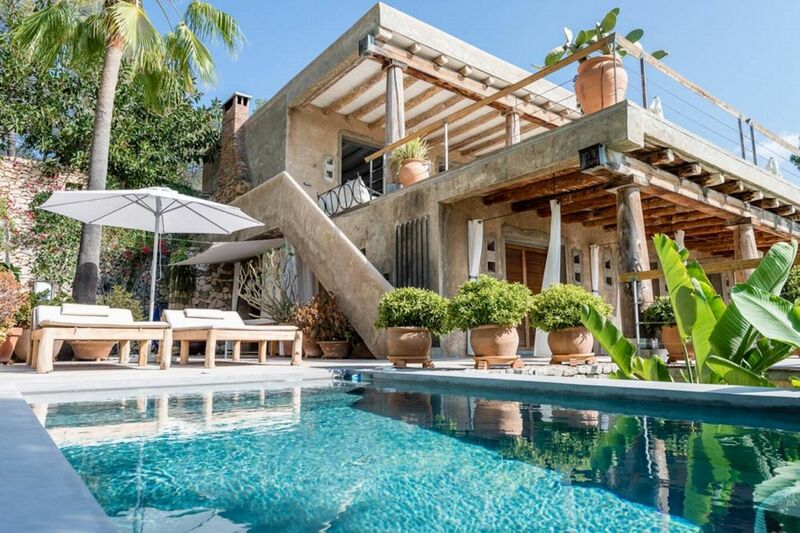 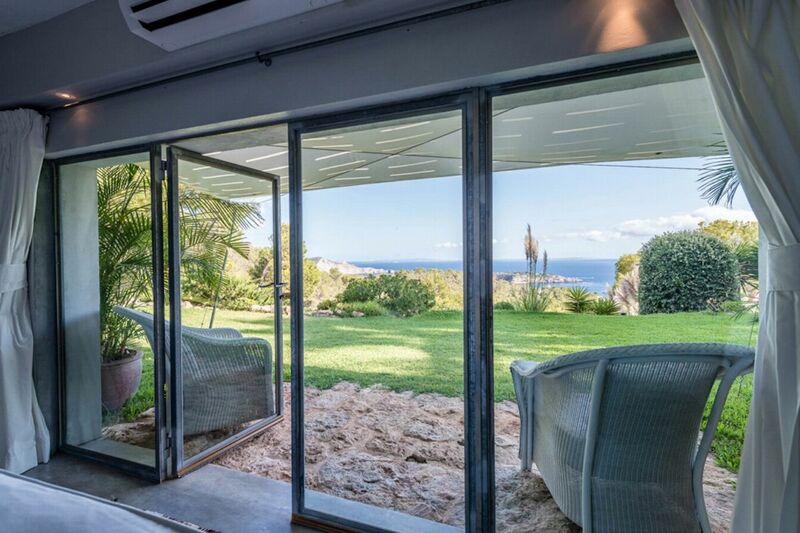 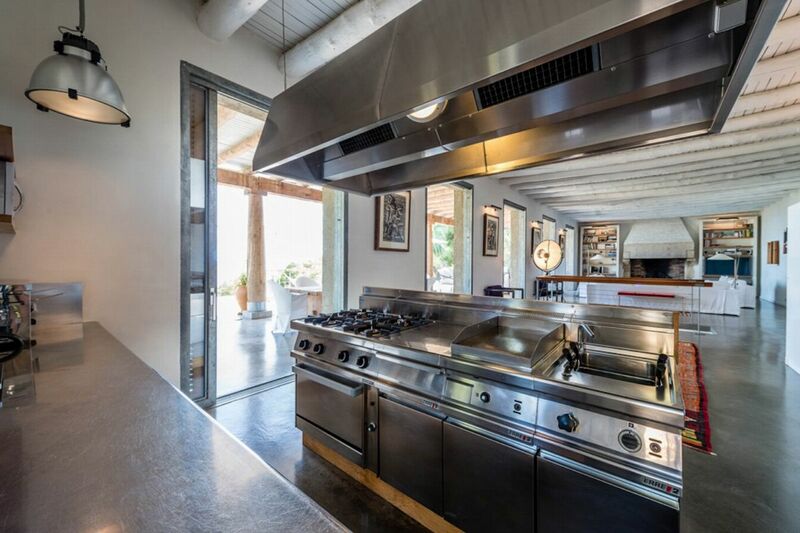 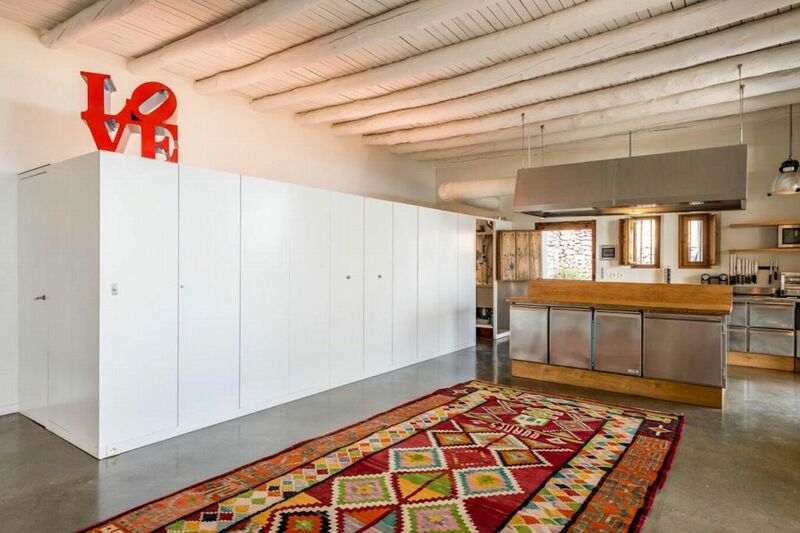 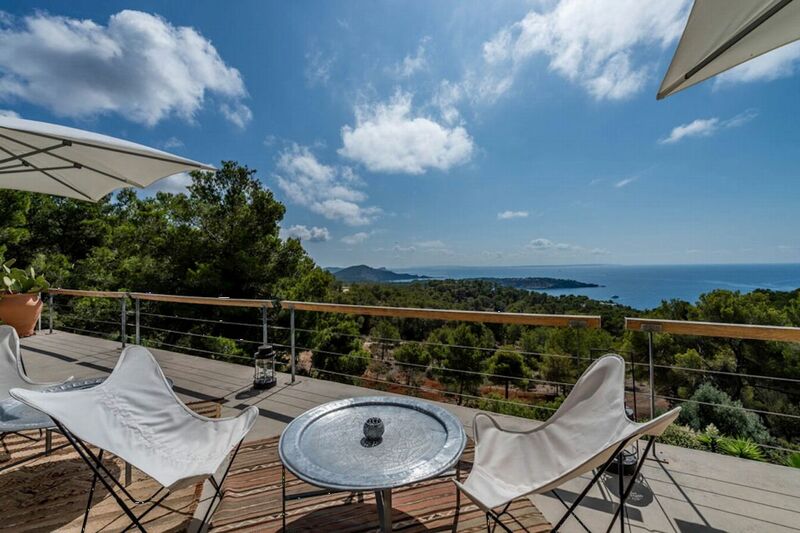 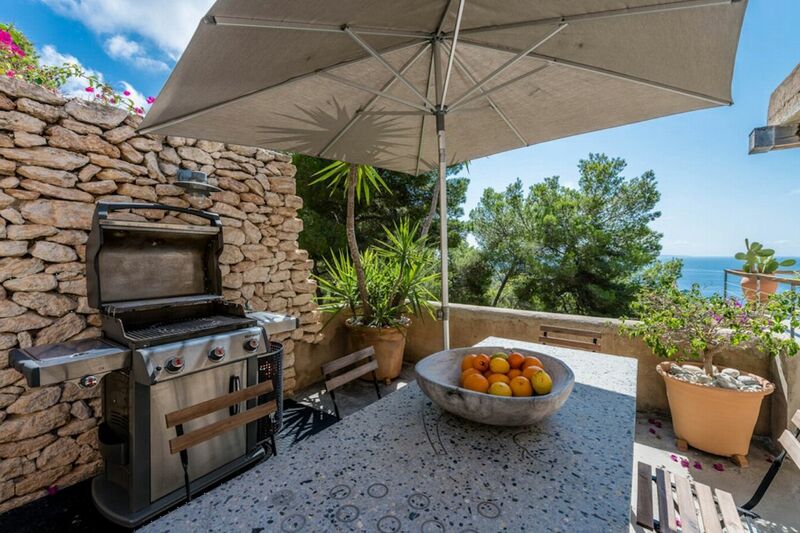 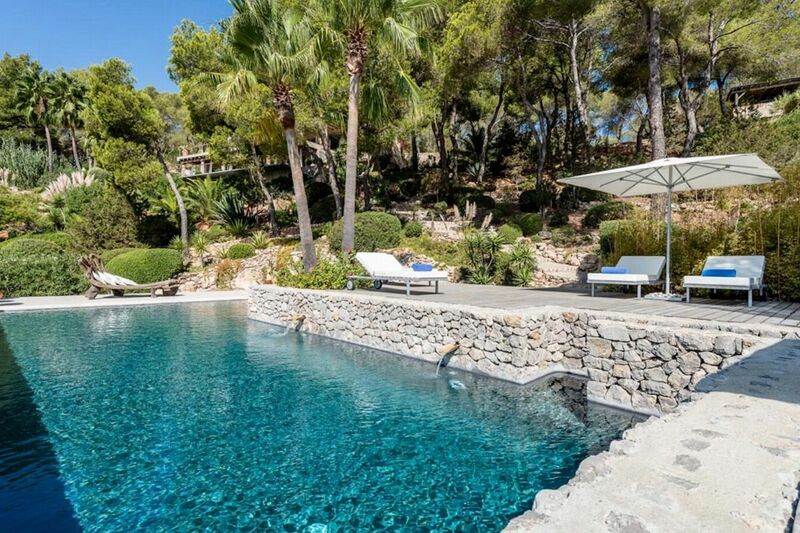 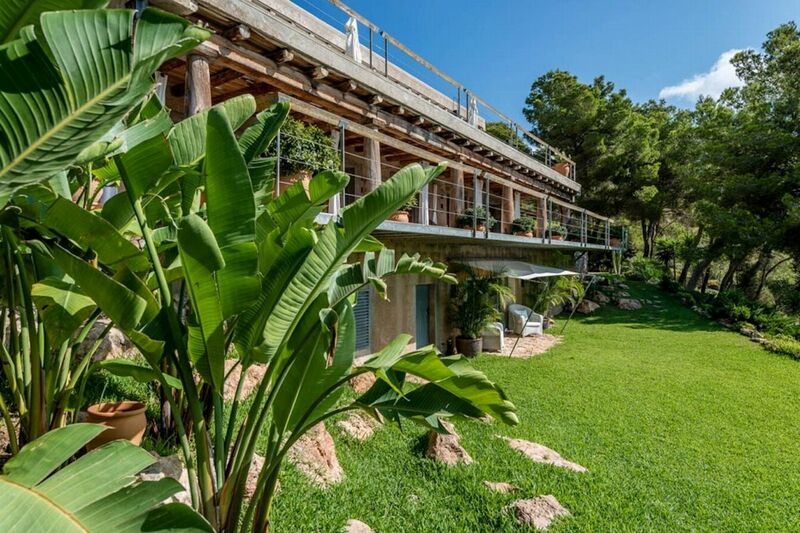 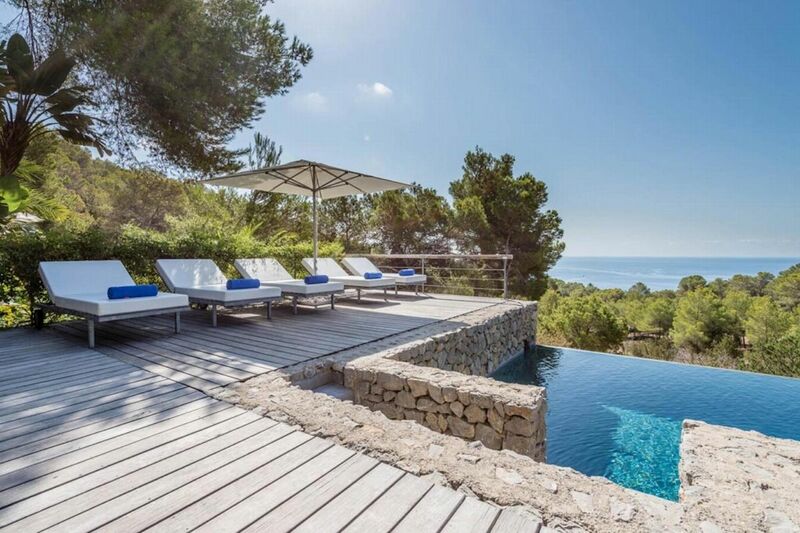 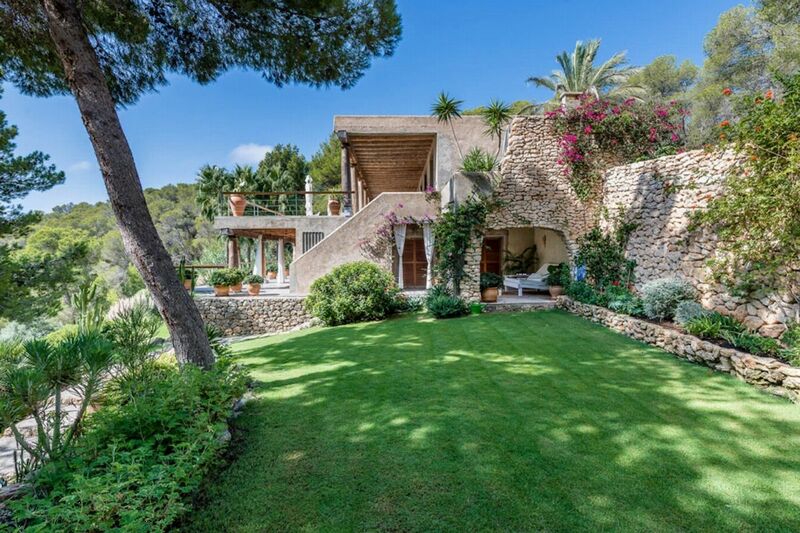 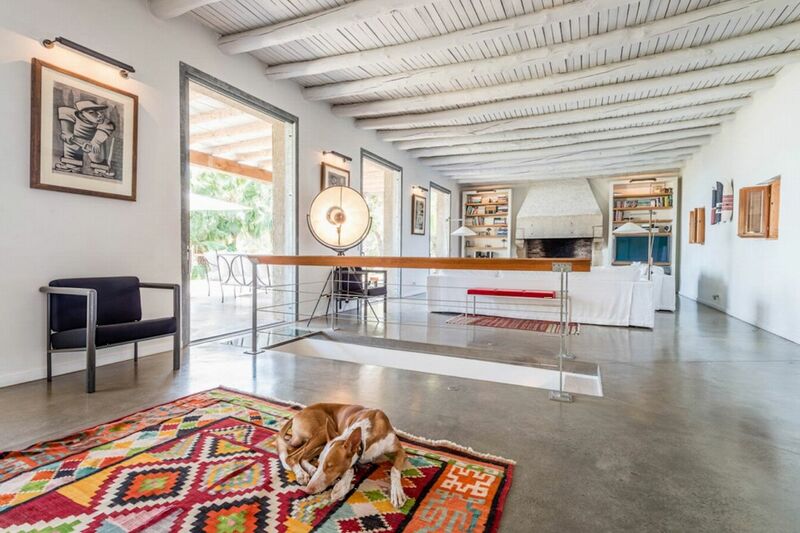 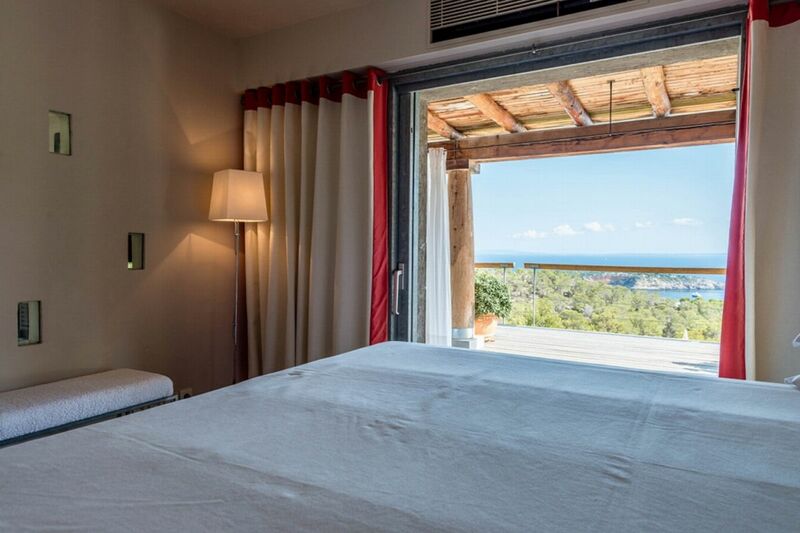 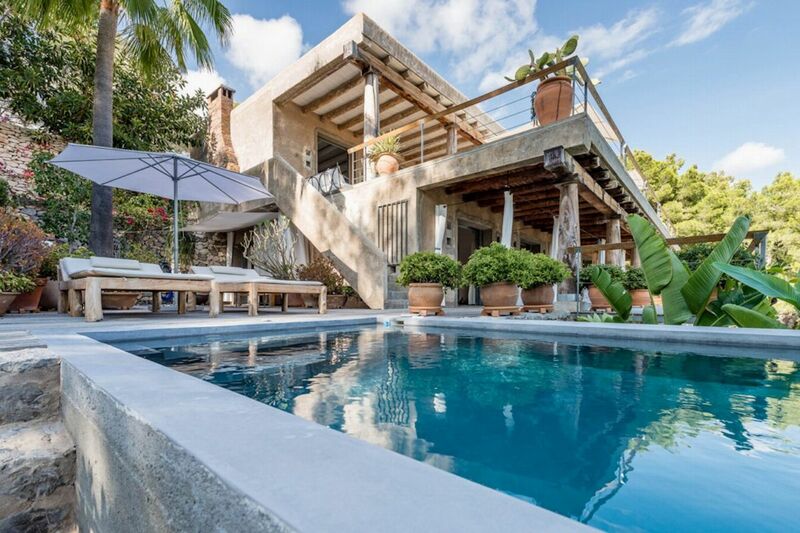 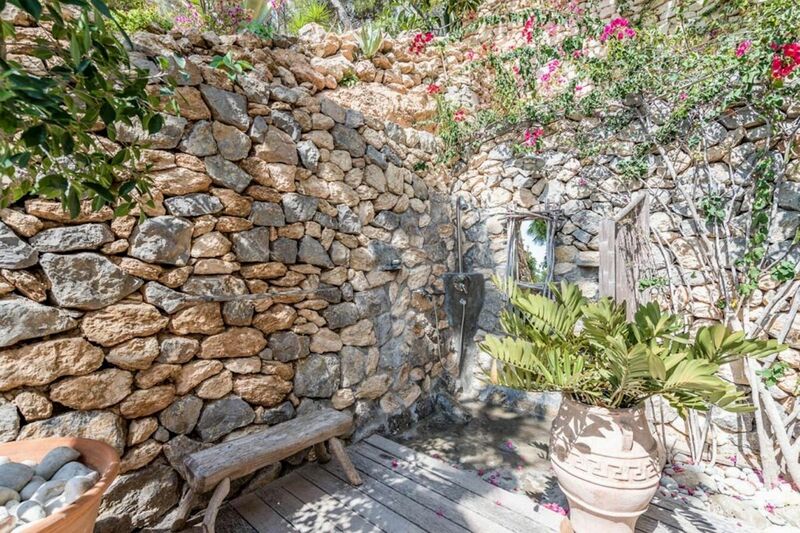 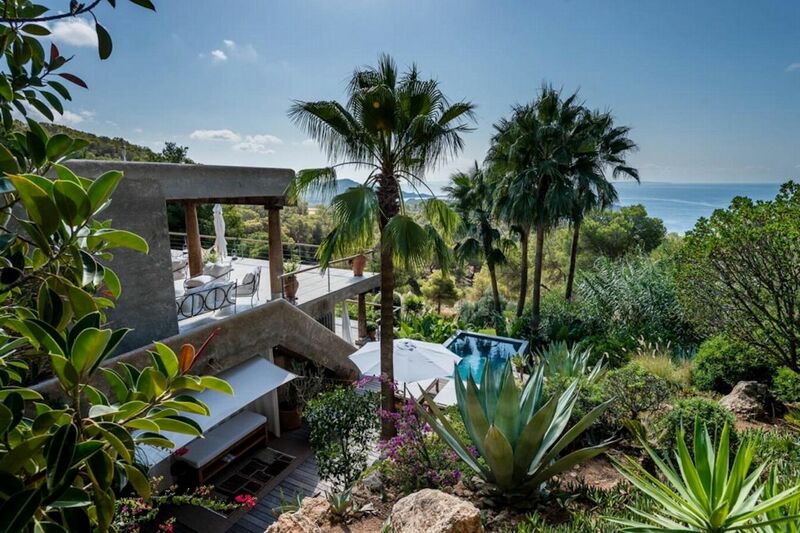 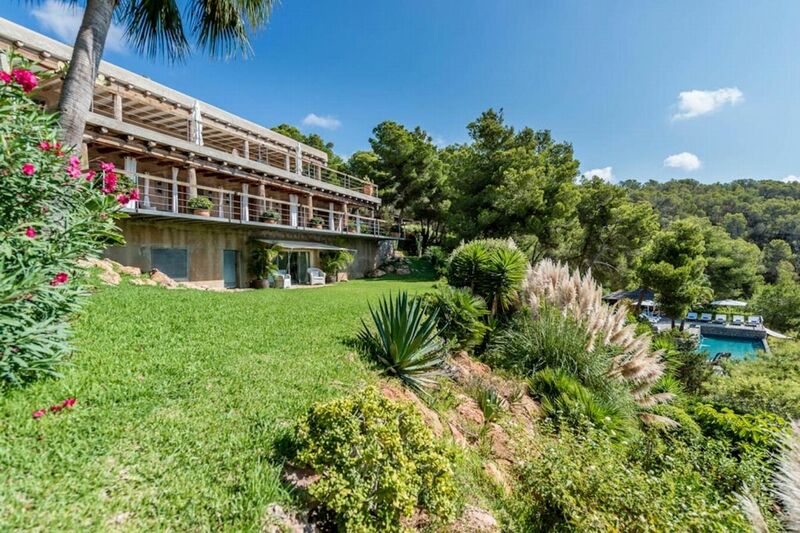 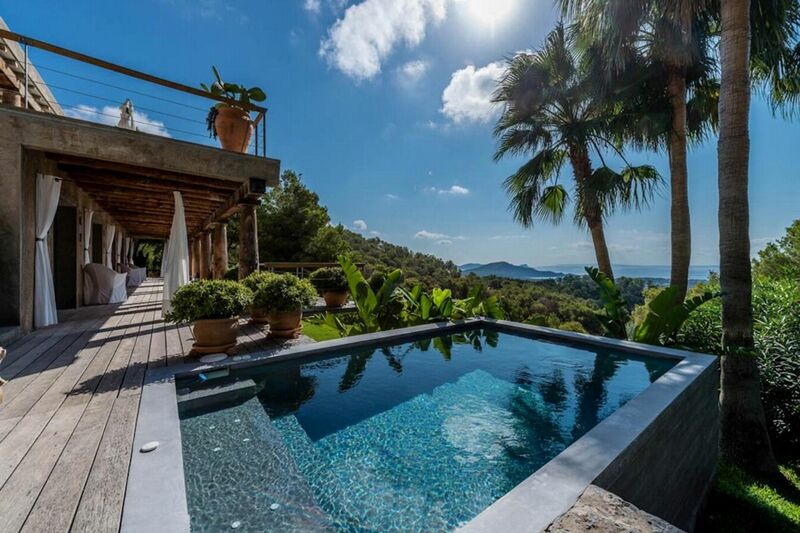 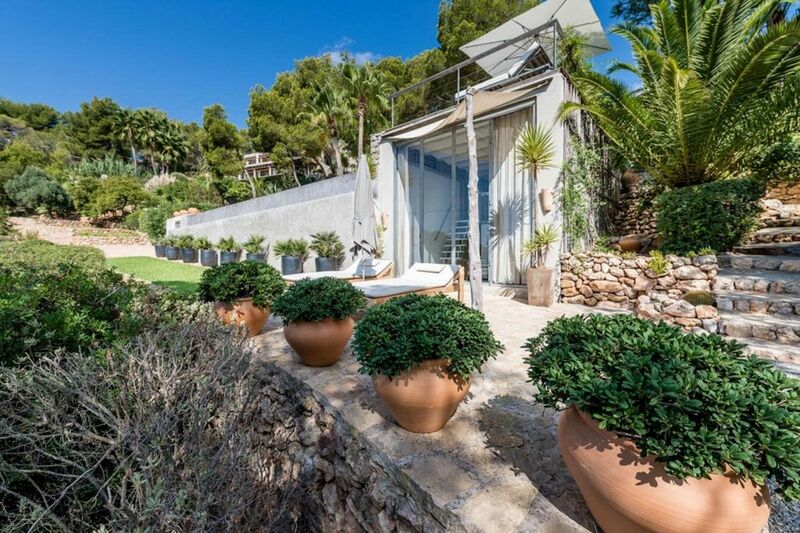 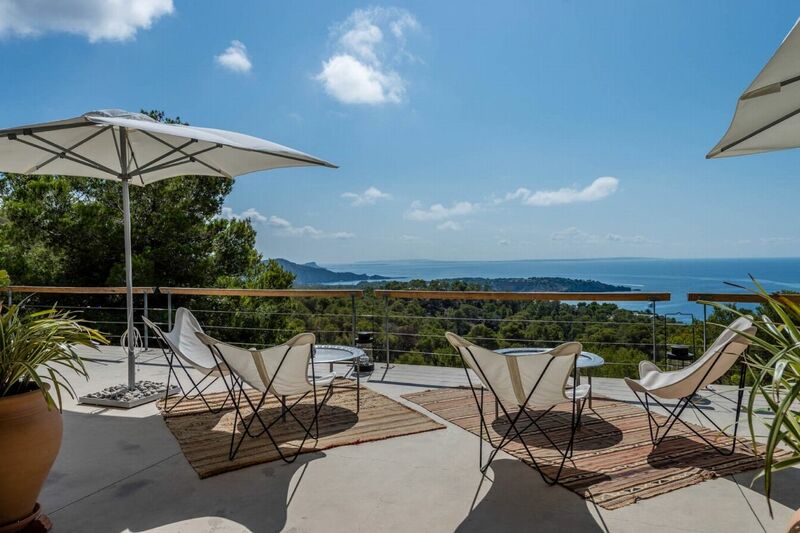 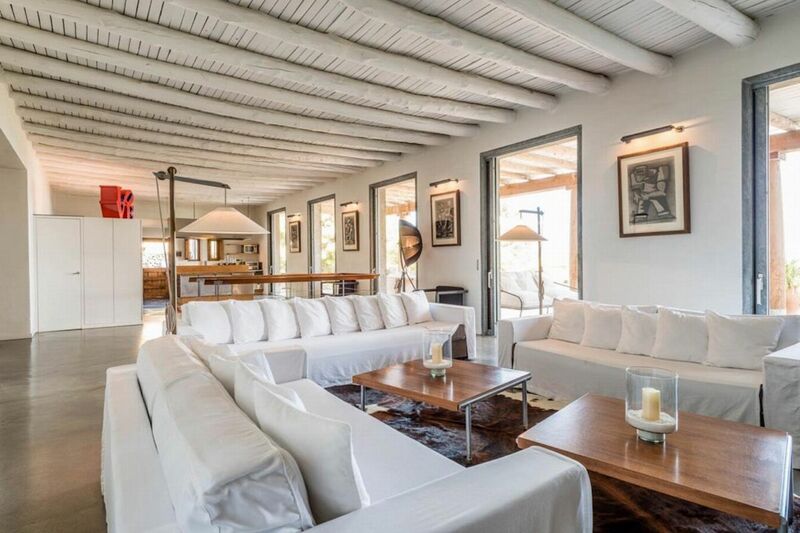 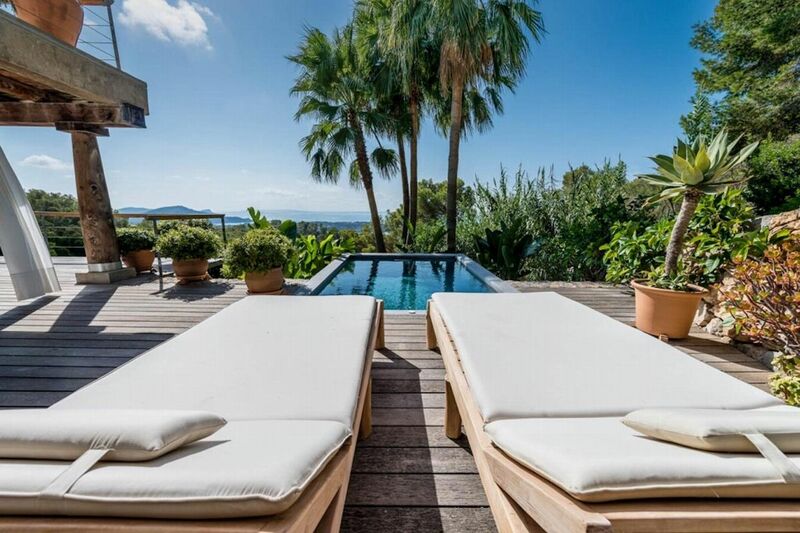 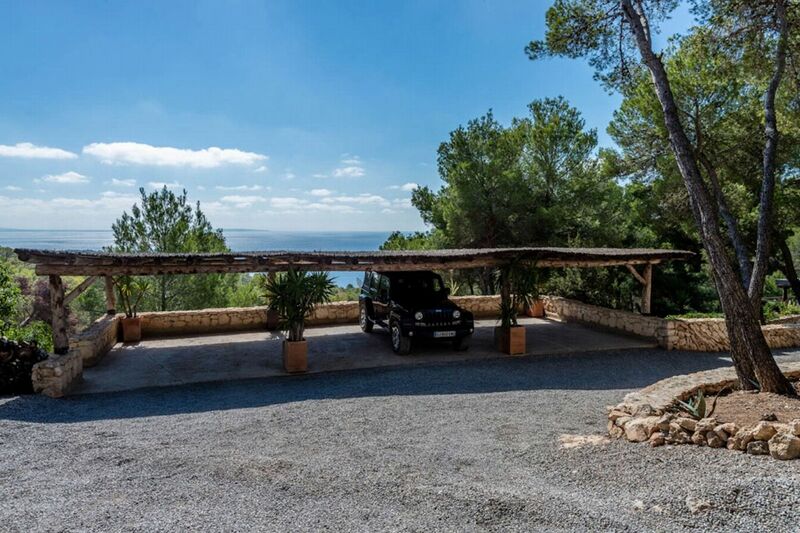 This is an incredible six bedroom (all en-suite) villa, located close to Es Cubells, Porroig, and Cala Jondal beach. 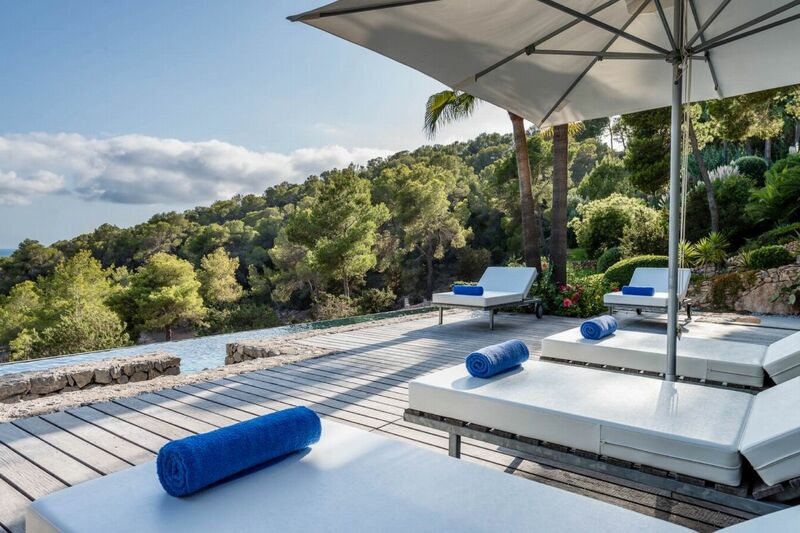 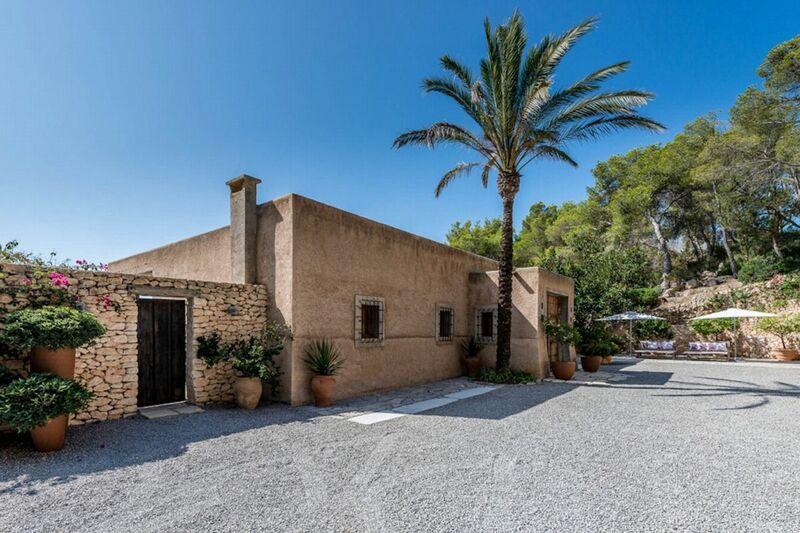 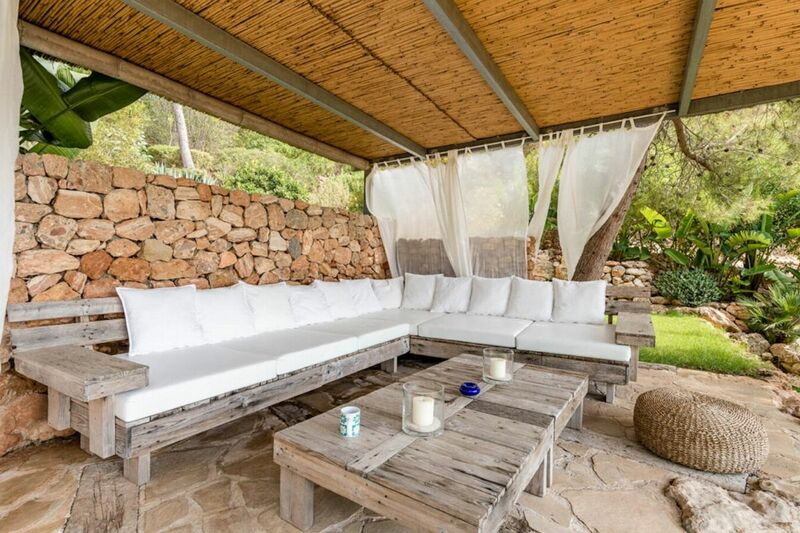 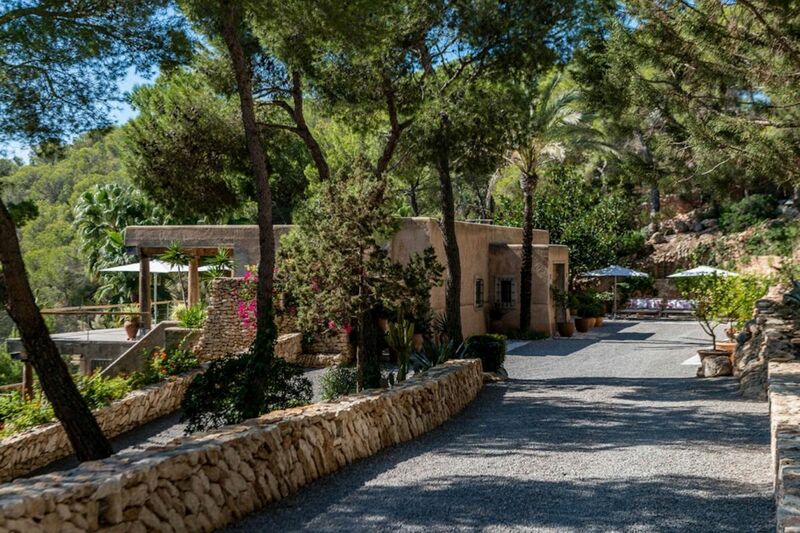 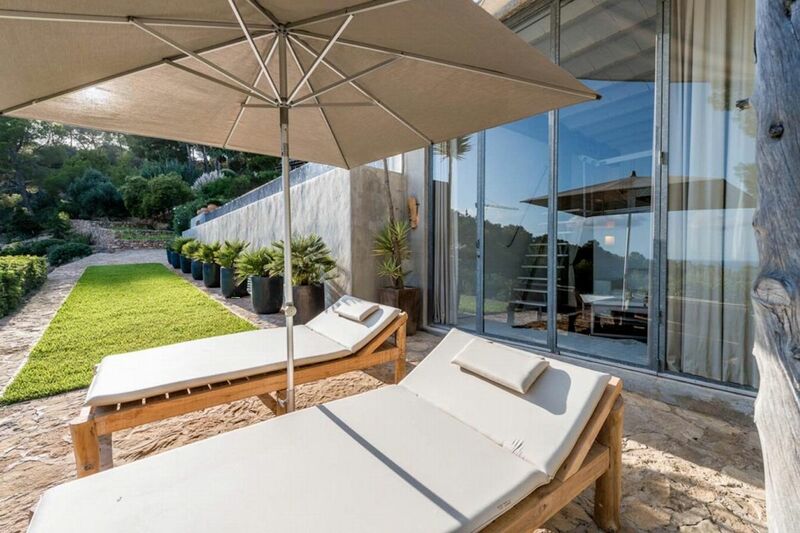 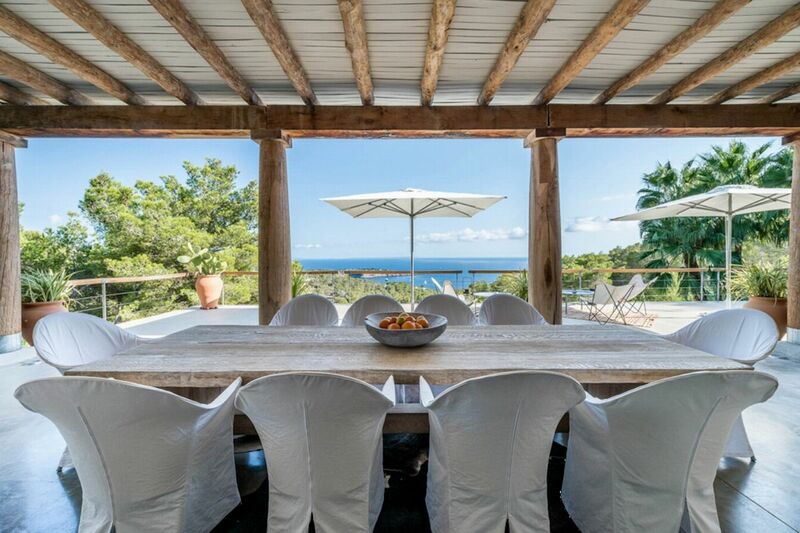 Villa Yama is an incredible six bedroom (all en suite) villa, located close to Es Cubells, Porroig, and Cala Jondal beach. 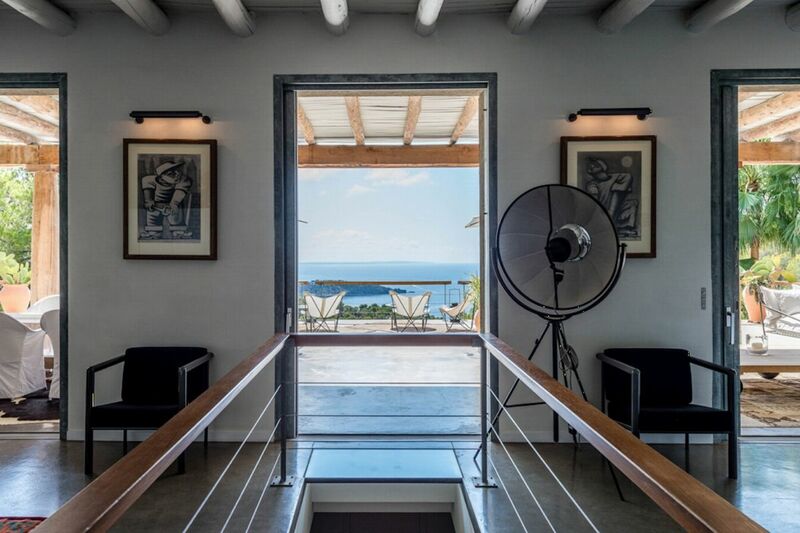 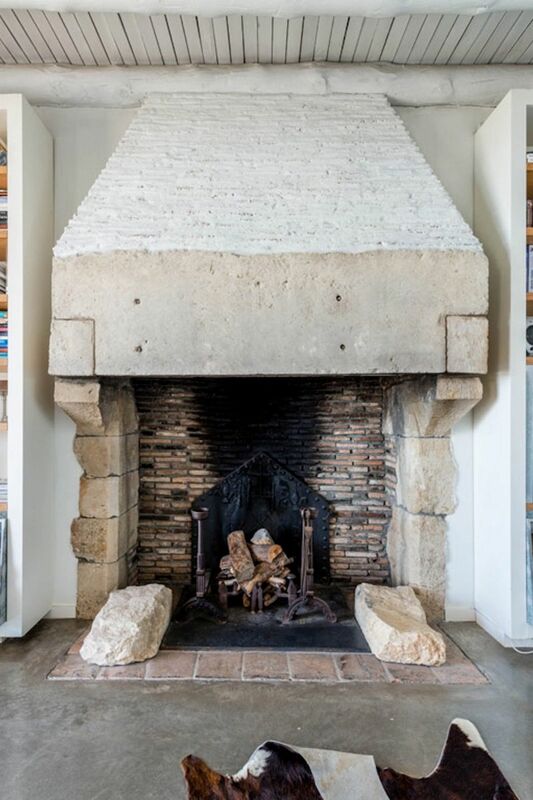 Only recently built, it has an excellent layout with a fantastic open plan reception room that leads out onto a huge terrace, with absolutely breath-taking views of the beautiful Mediterranean Sea. 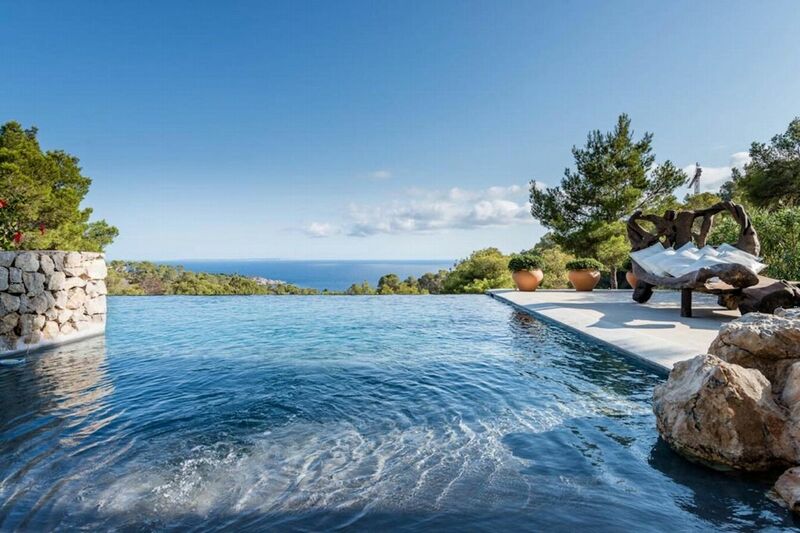 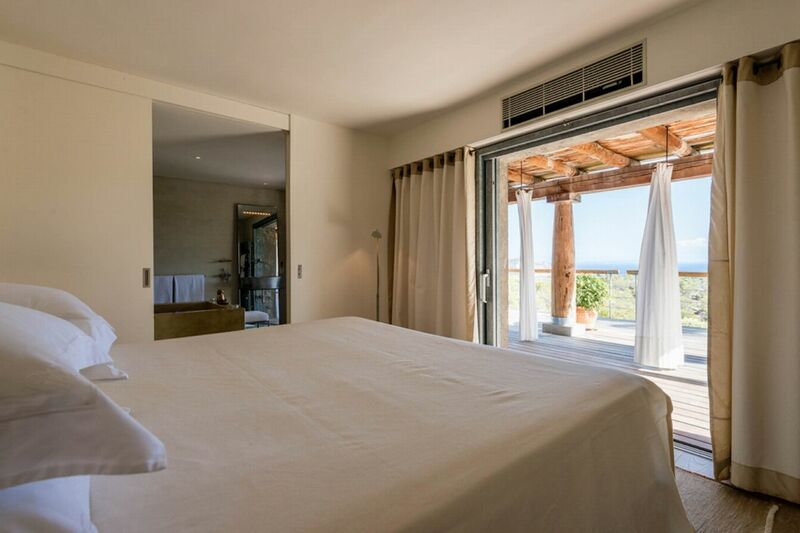 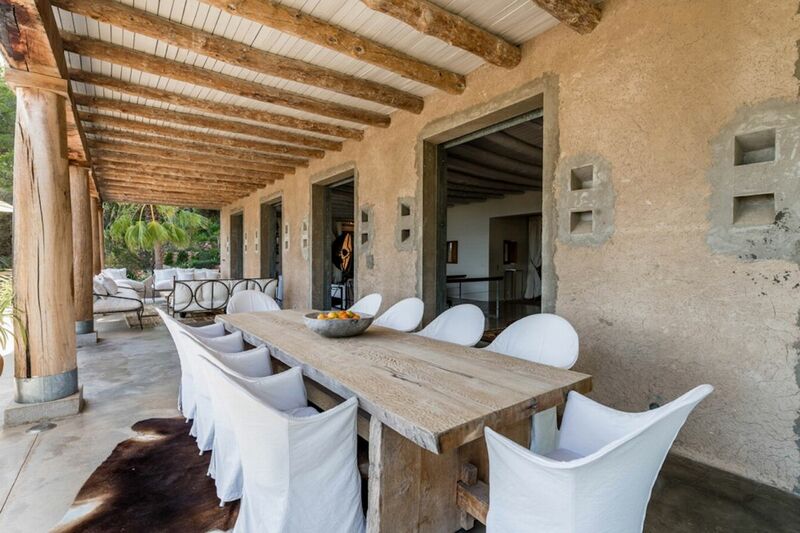 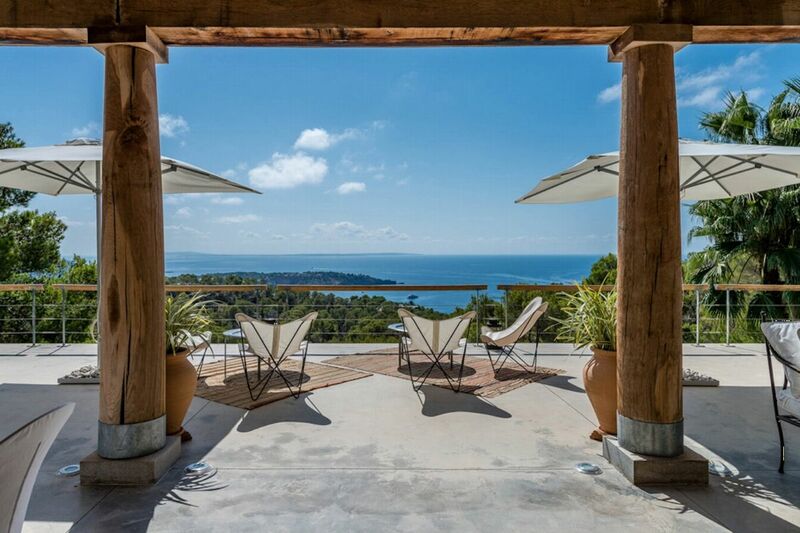 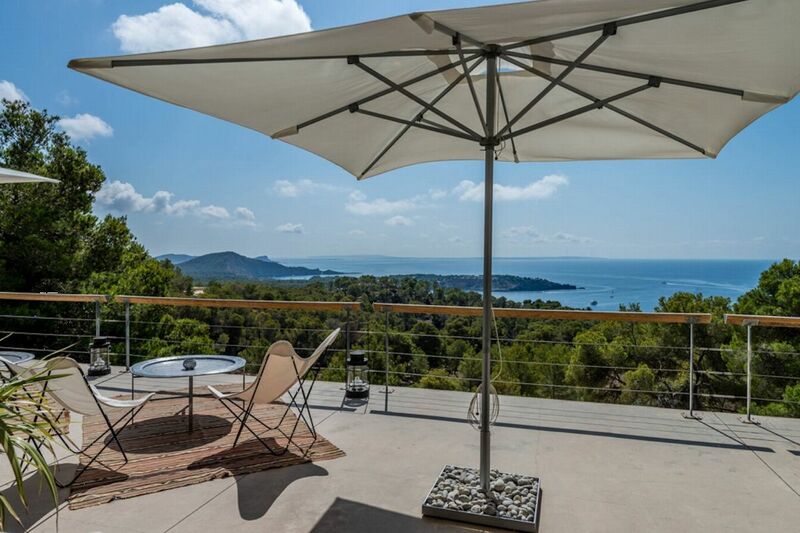 This is an ideal property, for families or groups, looking for a luxury villa rental in a stunning location. 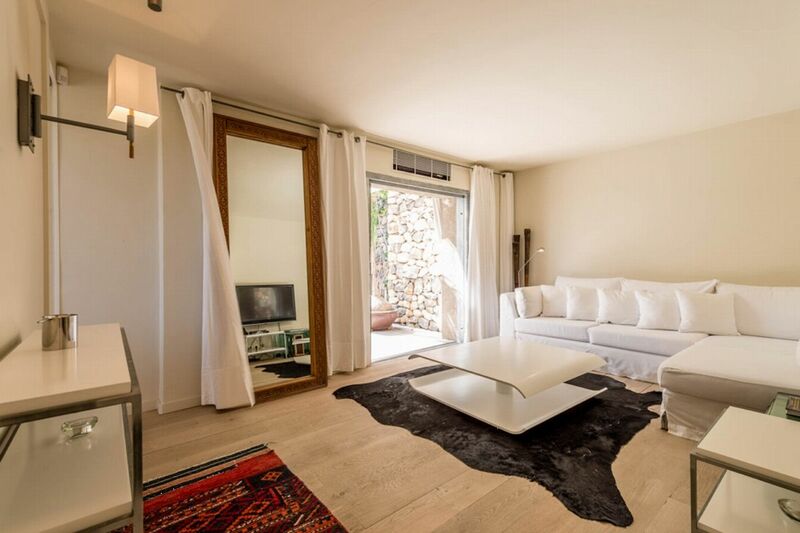 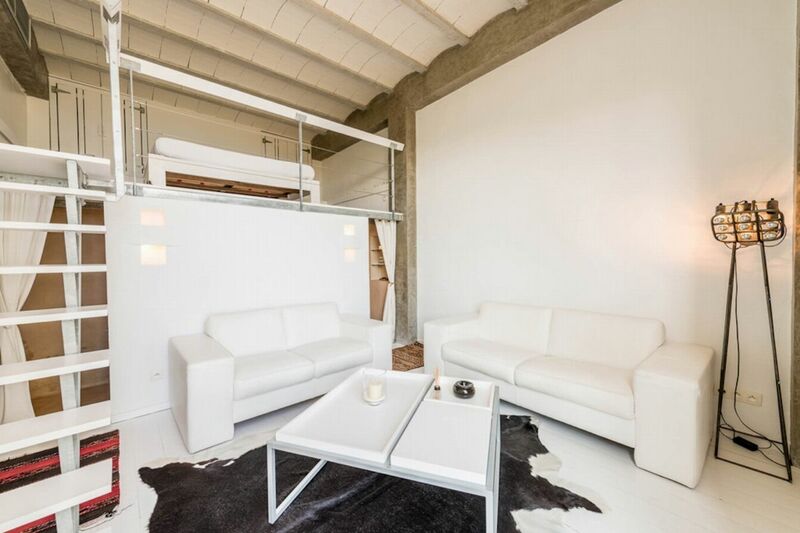 LIVING AREAS Inside, the spacious living areas have been beautifully designed and furnished to an exceptionally high standard. 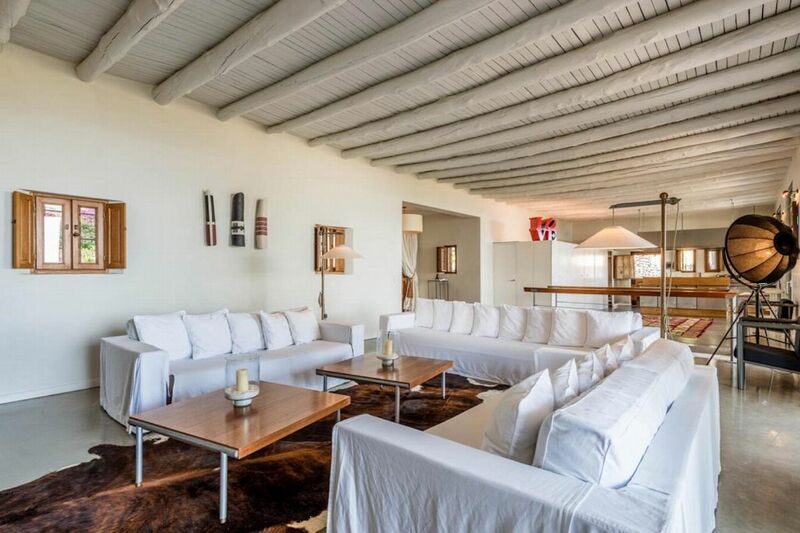 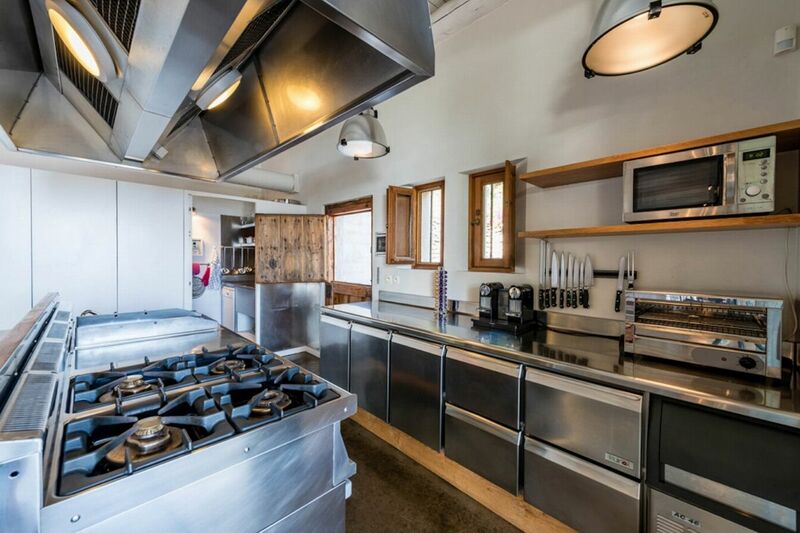 There is a large reception room with comfortable sofas leading to a fully equipped open plan kitchen. 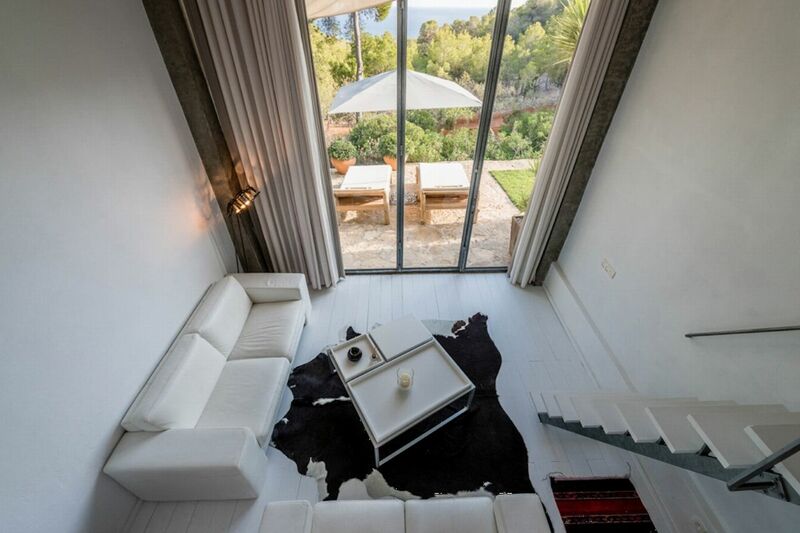 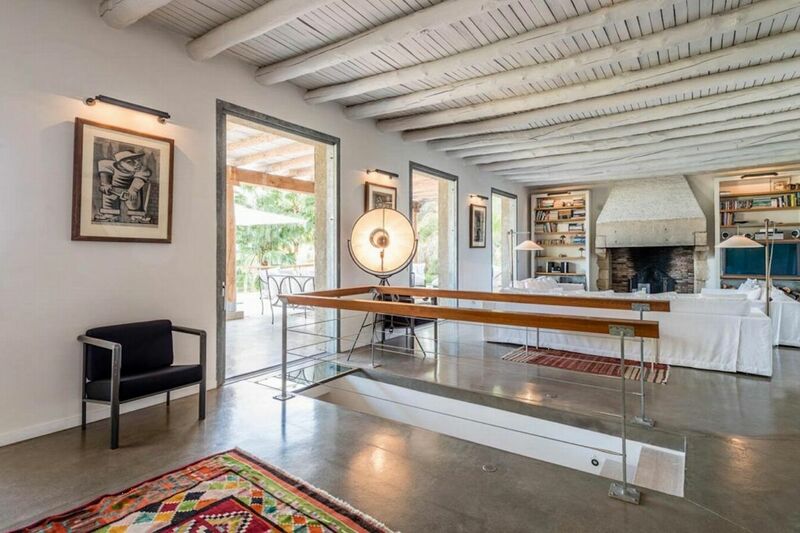 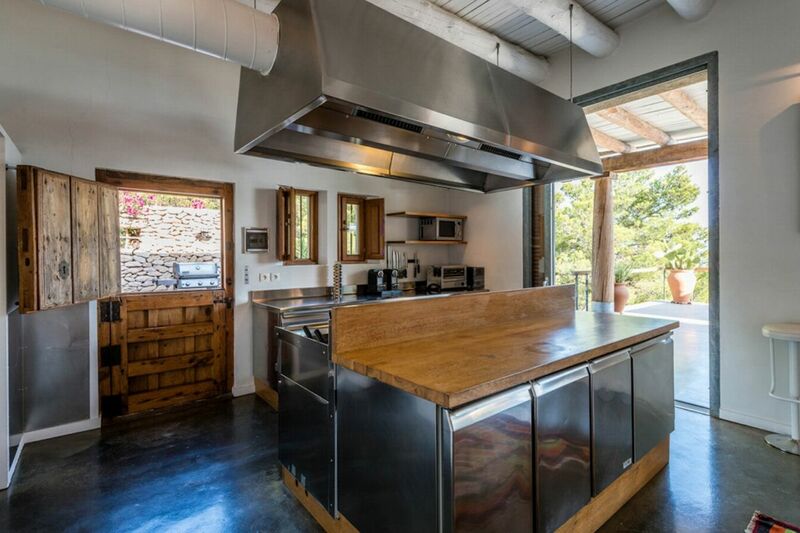 Both spaces benefit from several patio doors that lead out to the huge terrace. 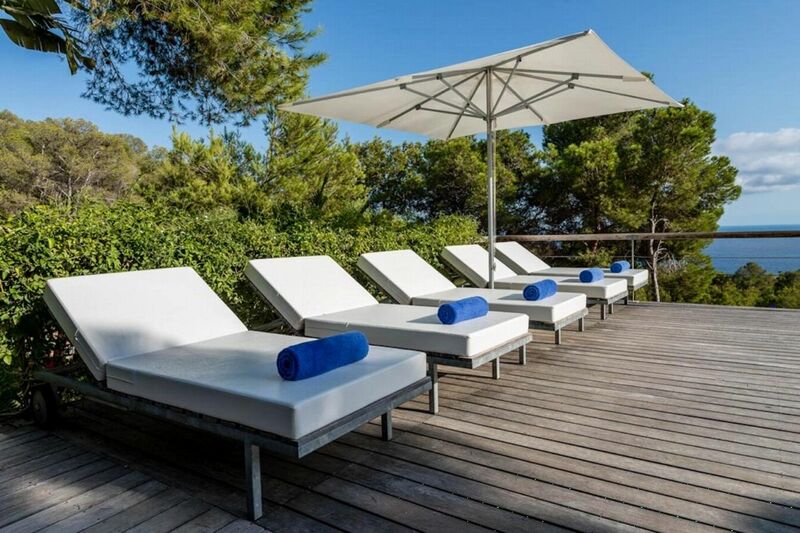 The terrace is furnished with various seating, dining, and chill out areas, where you can relax and enjoy the spectacular sea views. 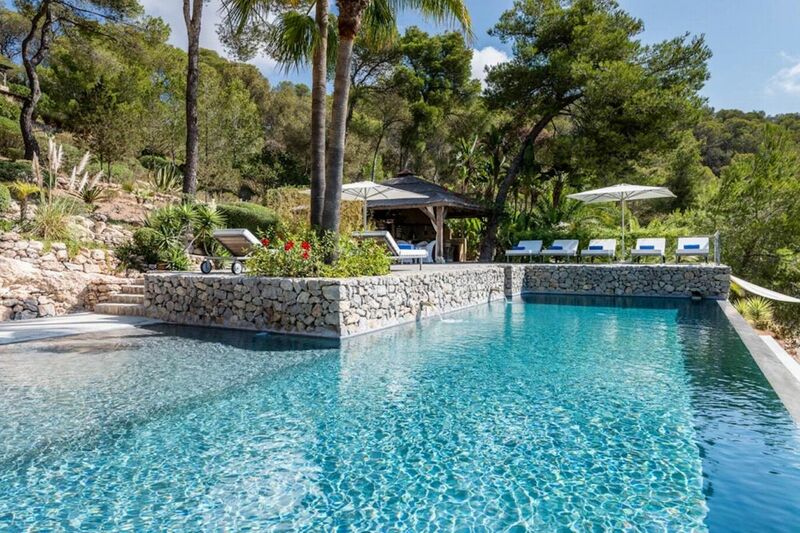 Outside, there's a fabulous garden, various terraces where you can enjoy sunbathing around the large swimming pool, plenty of seating and dining areas, a fitted kitchen, larder, WC and shower. 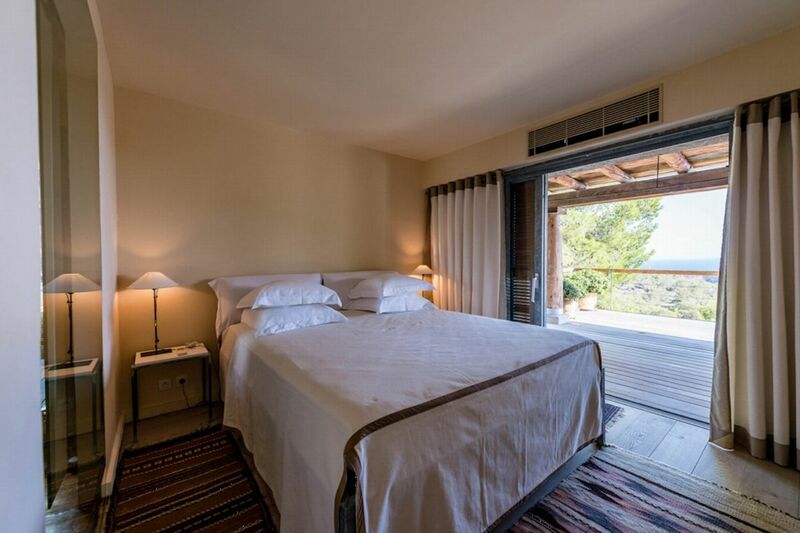 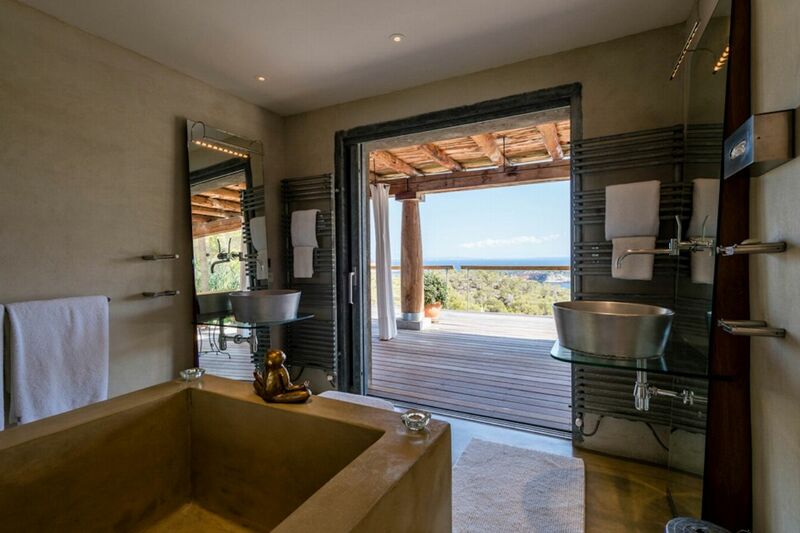 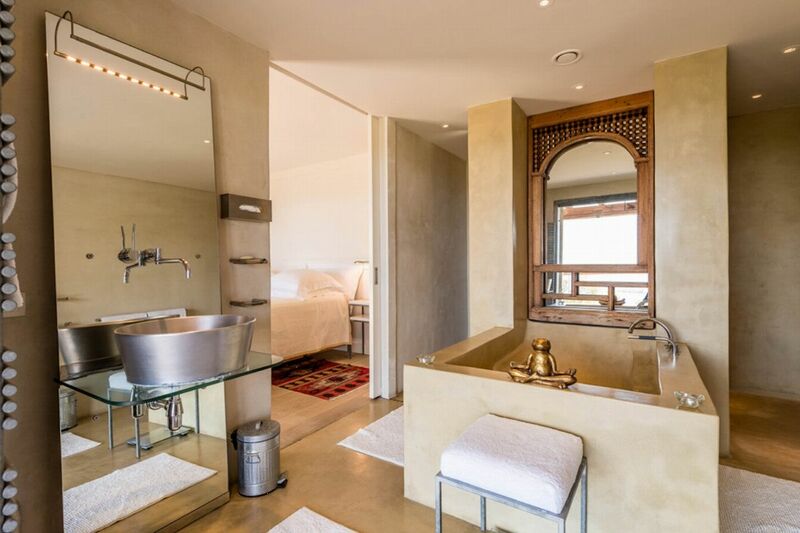 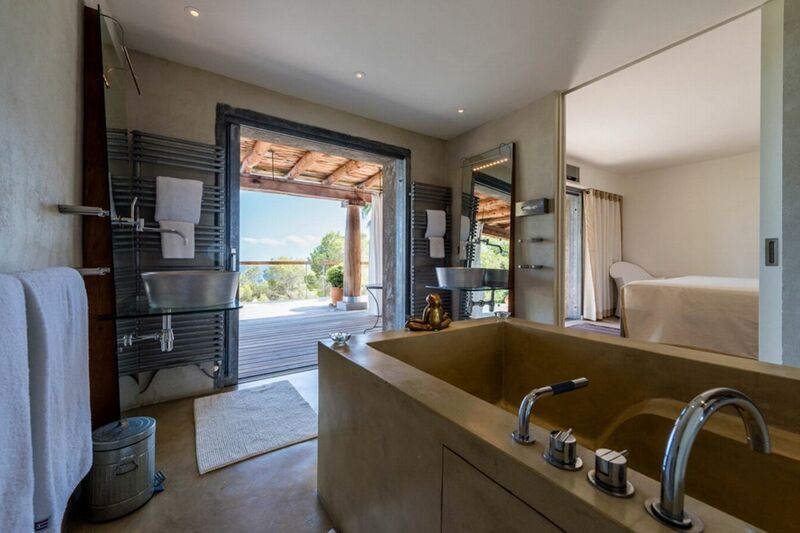 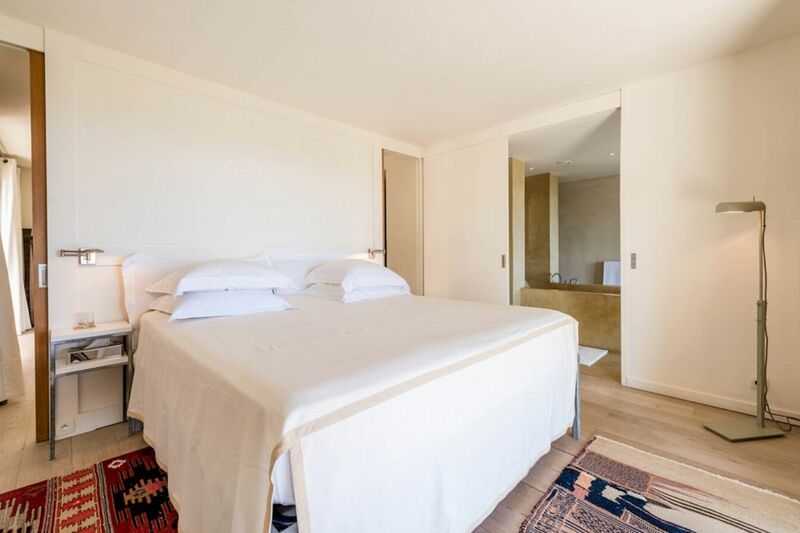 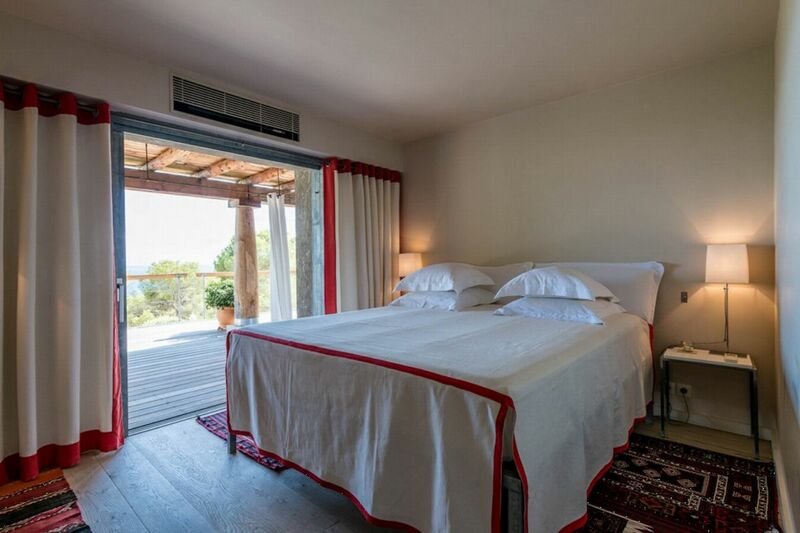 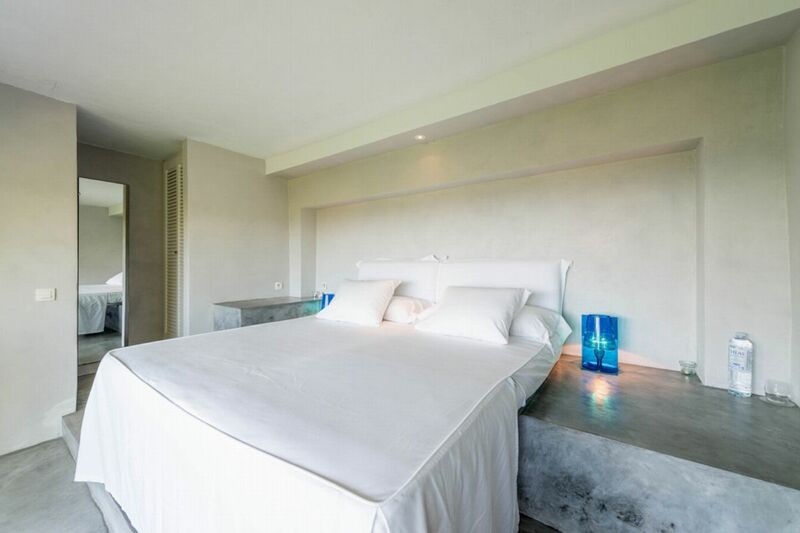 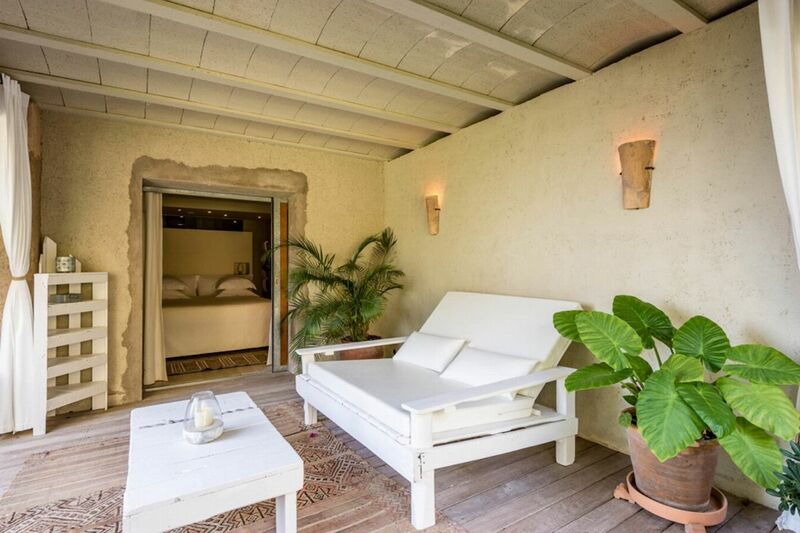 The master suite has been beautifully decorated and boasts a sitting room, dressing room, bath and shower room, terrace access, with the added luxury of a private terrace with outdoor shower. 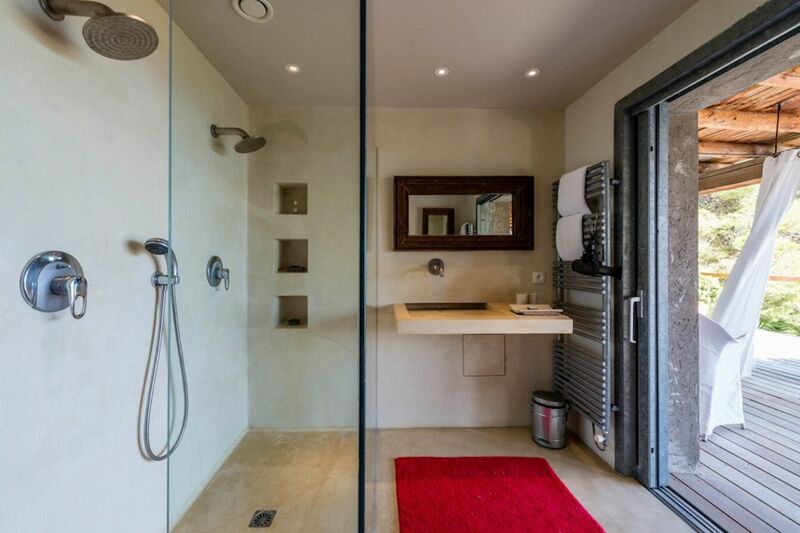 With en suite shower room and terrace access. 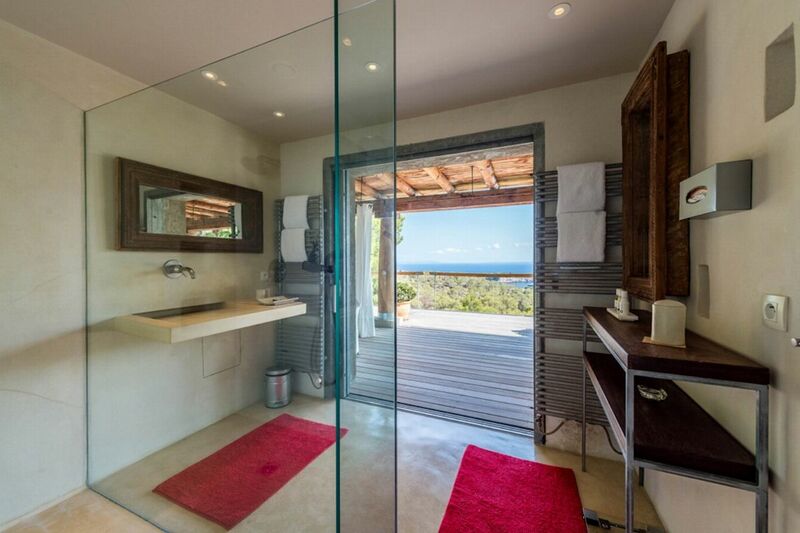 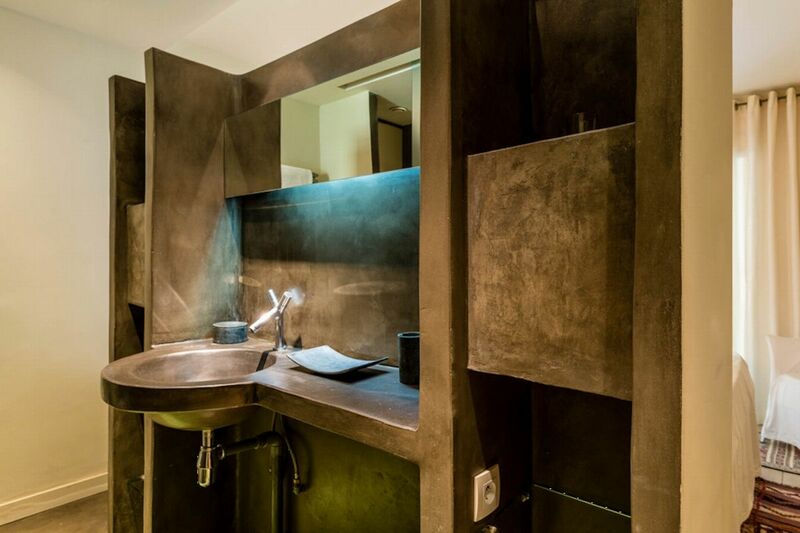 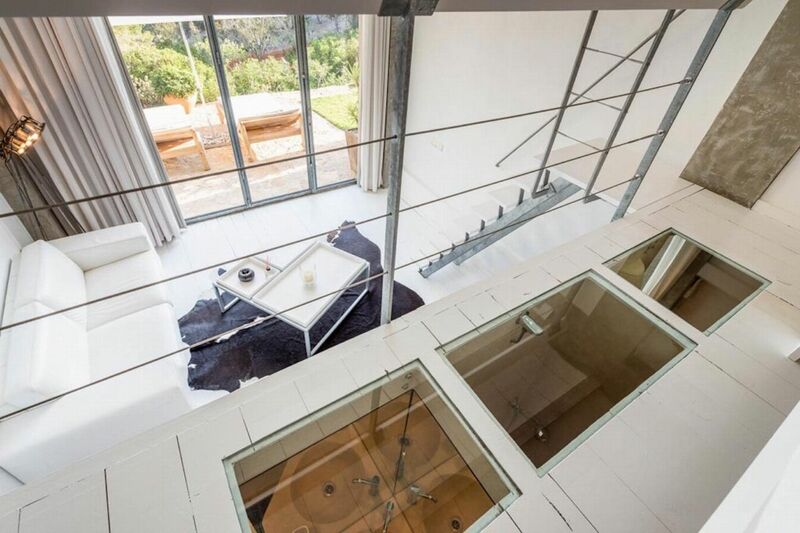 .With en suite shower room and terrace access. 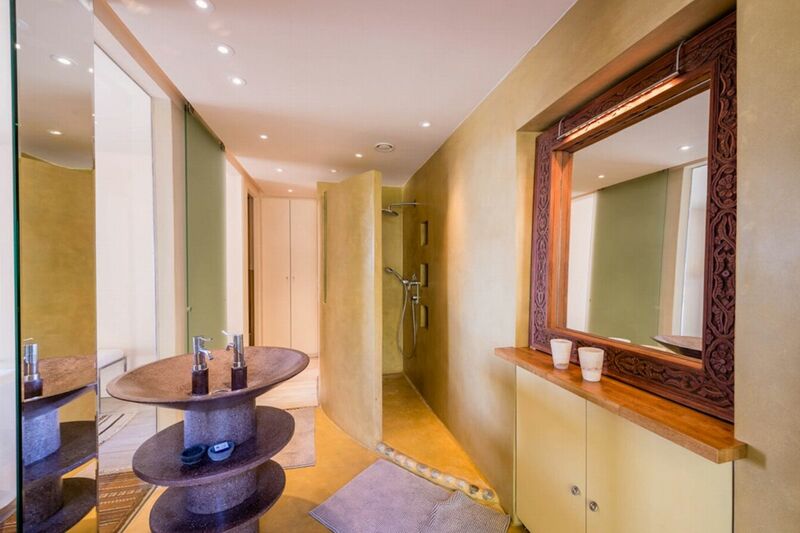 Externally accessed double bedroom, with en suite shower, reception area and kitchenette.